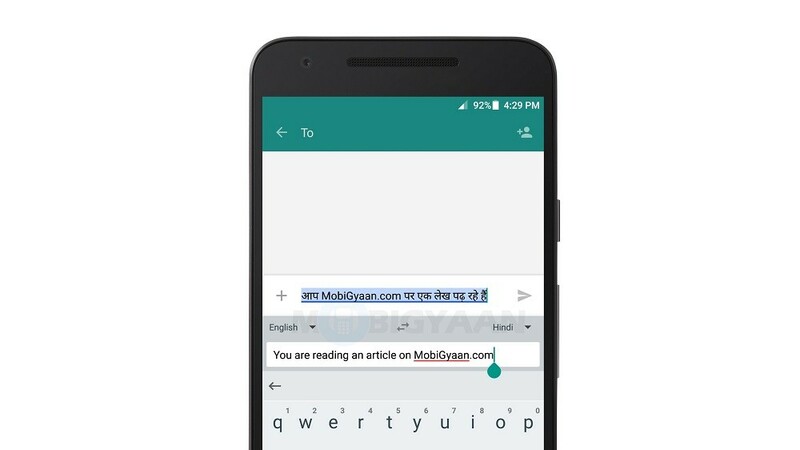 Google is bringing a cool feature to the Android version of its Gboard keyboard, including a Google Translate integration that will translate any text you type into a desired language in real time. This feature expands upon the company’s Now on Tap translation integration from last year that lets users hold down the home button to translate any screen of foreign text. Now, instead of typing out a message and translating it after the fact with Now on Tap, or inputting text into Google’s dedicated Translate app, Gboard will do it automatically for you once you tap the Translate icon. The Translate box from the quick start menu also supports pasted text, so you copy any text sent back to you to have it translated back into your native tongue. Beyond the Google Translate support, Gboard is also getting an improved voice typing feature that makes it easier to switch between speaking and typing modes, new background themes, and automatic emoji and GIF suggestions that pop up as you type. Google says it now supports sharing GIFs into third-party messaging apps like Facebook Messenger and Snapchats, as well as its own Allo and Hangouts offerings. So basically, Google is making it possible to chat in any language of your choice, it is now up to you to choose.